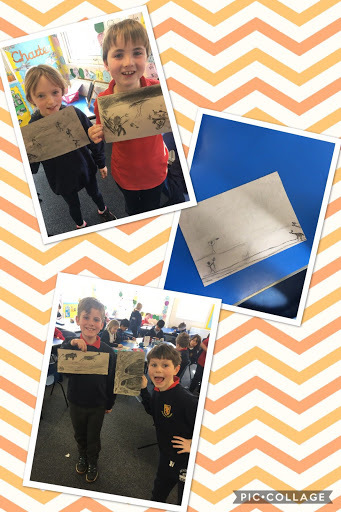 Inspired by our class novel, Stig of the Dump, we began to investigate the Stone Age and were inspired to create our own Cave Paintings. 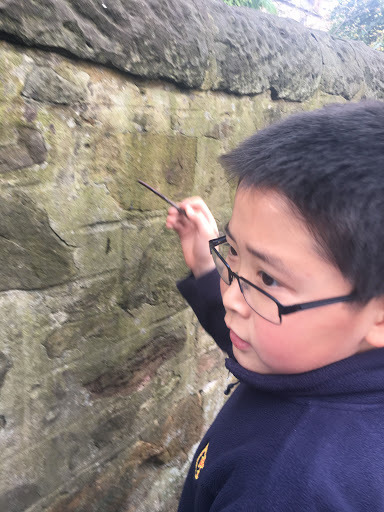 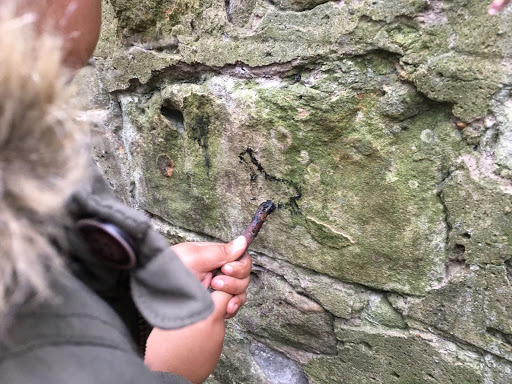 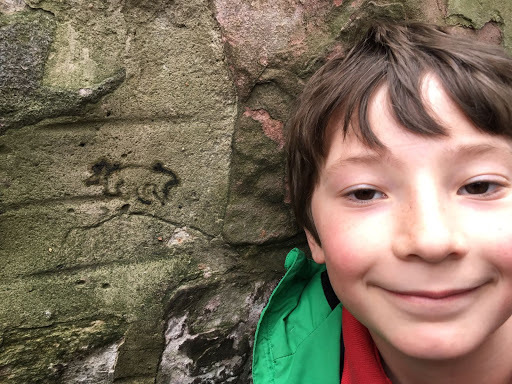 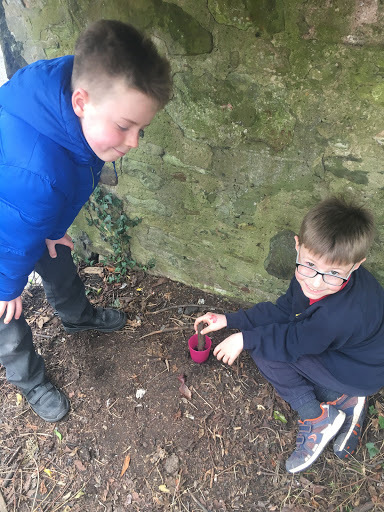 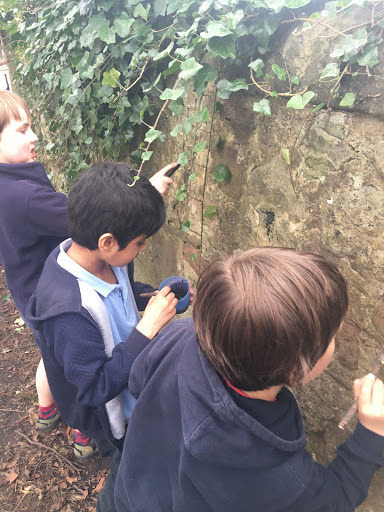 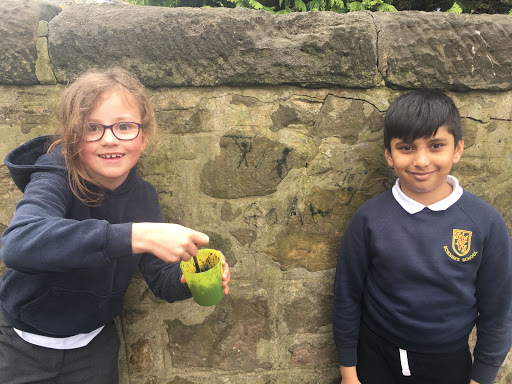 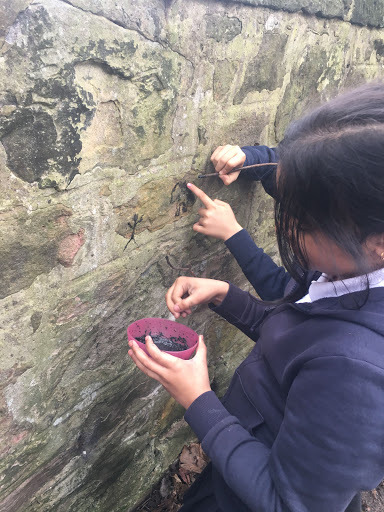 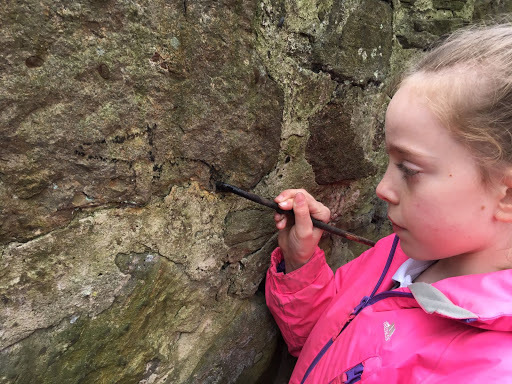 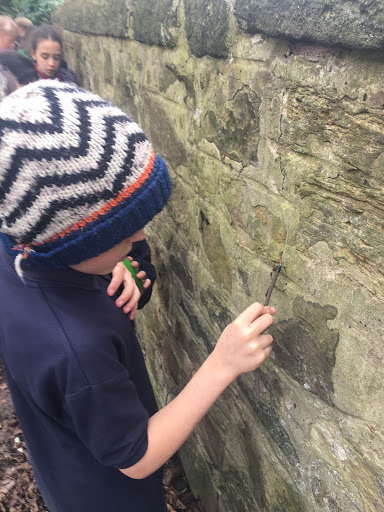 Having had a go in class we thought it would be fun to create our own charcoal paste and use sticks from the nature garden to draw our designs on walls, just like cave people! 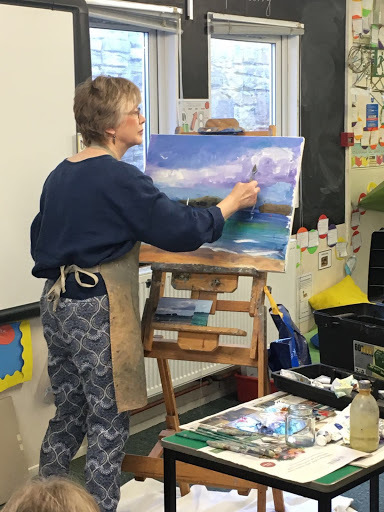 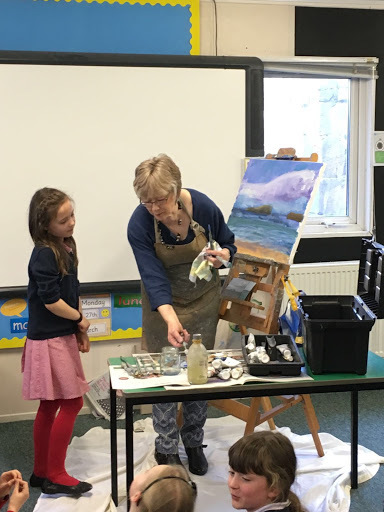 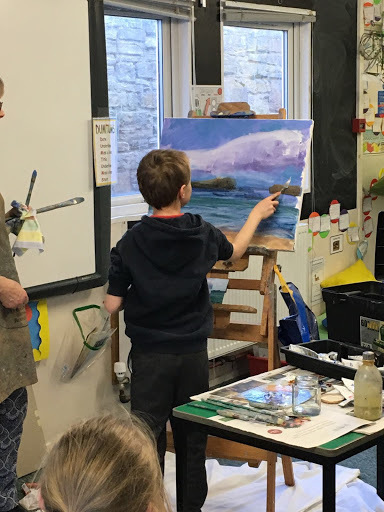 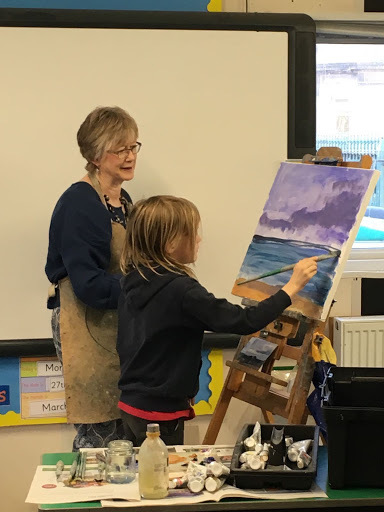 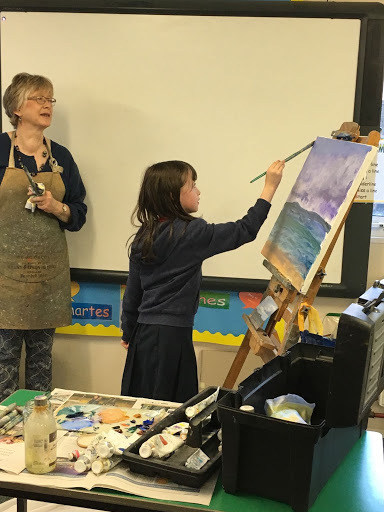 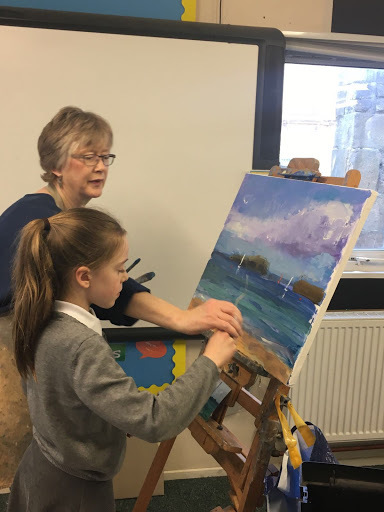 Artist and Gran to Robbie, Nancy Turnbull, gave P4C a demonstration of her beautiful landscape painting. 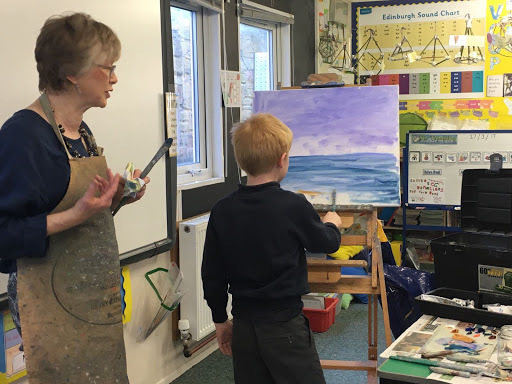 We were fascinated to see an artist at work. 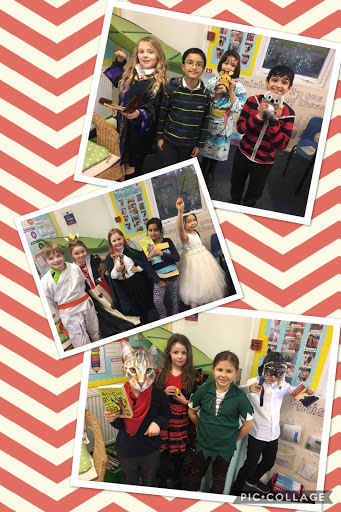 Some of the boys and girls got the chance to join in! 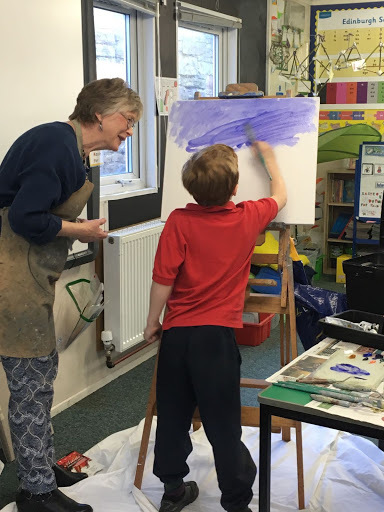 We are really grateful to Robbie’s mum and Gran for giving us such a wonderful opportunity. 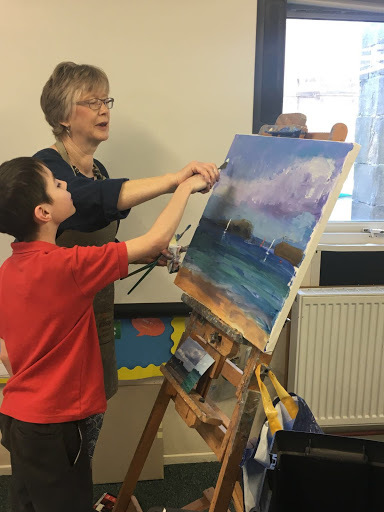 The finished painting of a North Berwick scene by Nancy Turnbull and 4C will be displayed in school when it is fully dry. 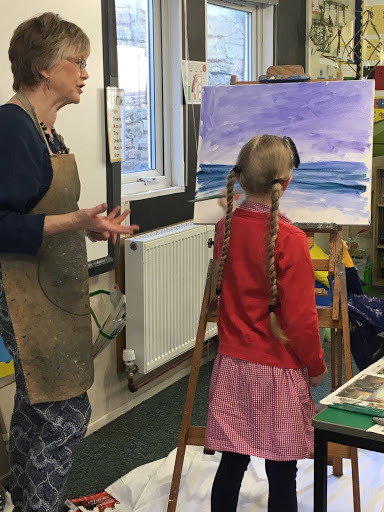 Have a look at these photos to see how the painting developed. 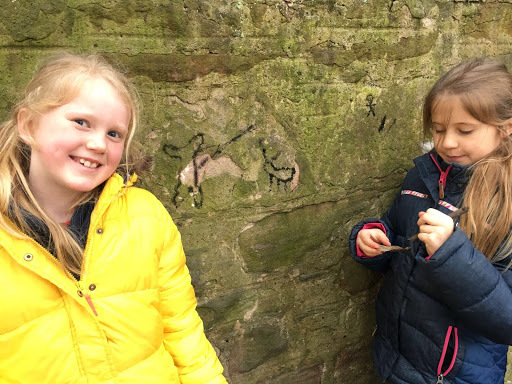 We became interesting in cave paintings while reading about them in our current class novel, ‘Stig of the Dump’. 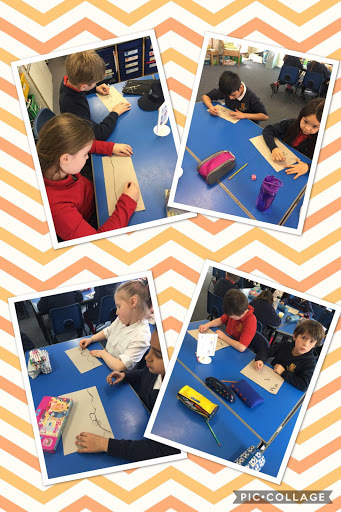 We spent this morning learning about the Stone Age and looked at examples of cave art before creating our own. 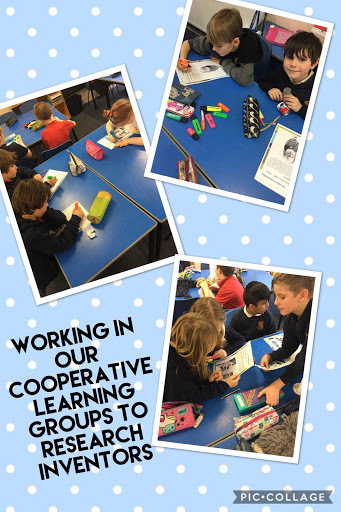 We spent this week working in co-operative learning groups to investigate information about famous Scottish inventors. 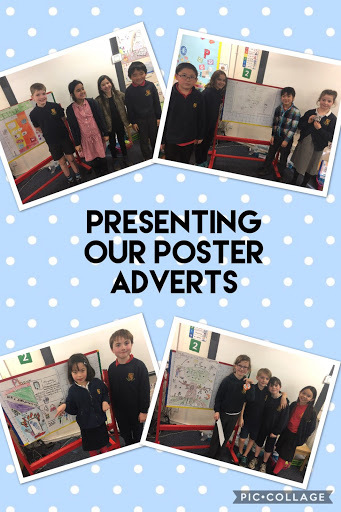 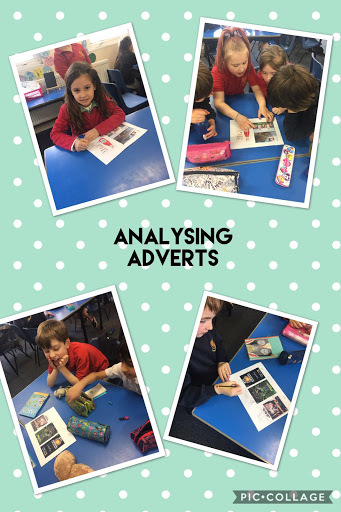 After we gathered the relevant information we looked at what makes effective advertising. 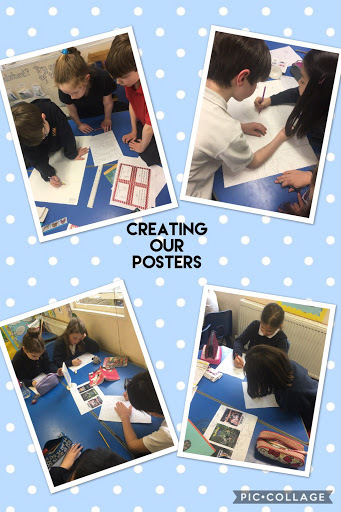 We looked at persuasive language and creating eye-catching images. 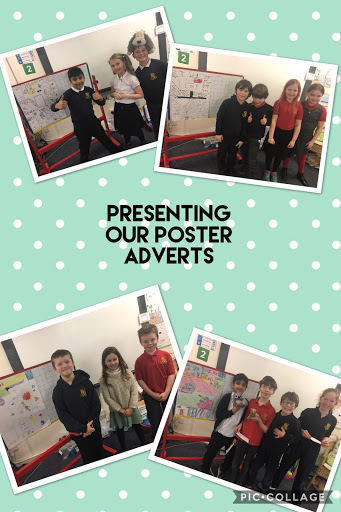 We then combined all this knowledge by working in our groups to create adverts for the telephone and television. 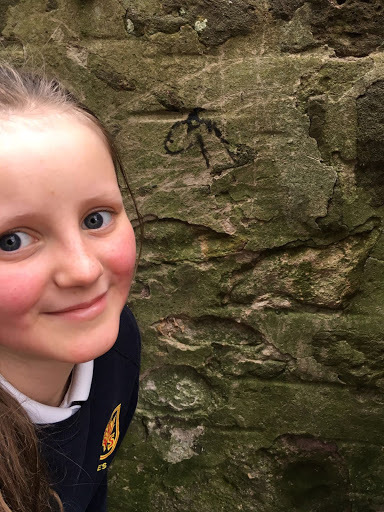 Two everyday items both invented by Scots. 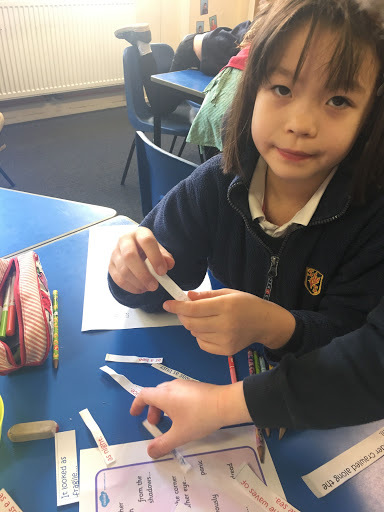 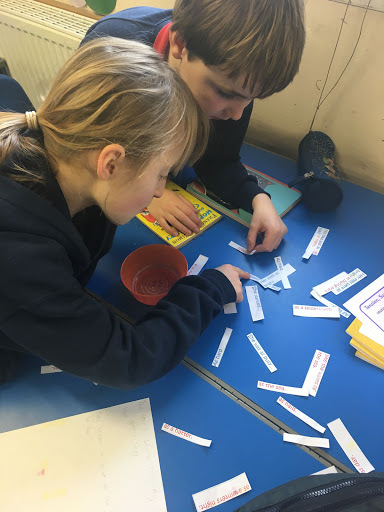 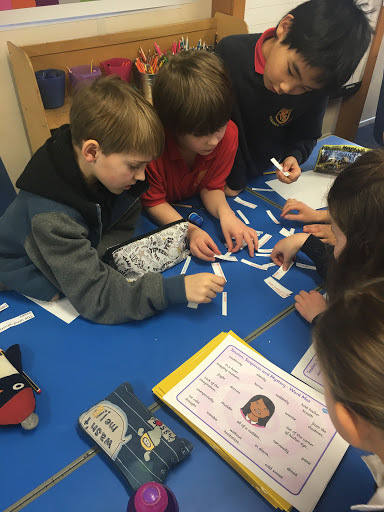 It was great to see so much brilliant group work going on this week. 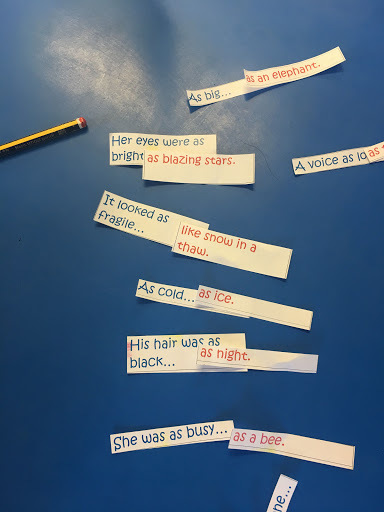 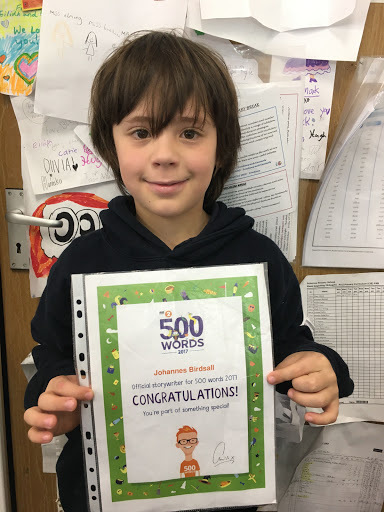 I have been so impressed with the amazing suspense writing P4b have produced over the past few weeks. 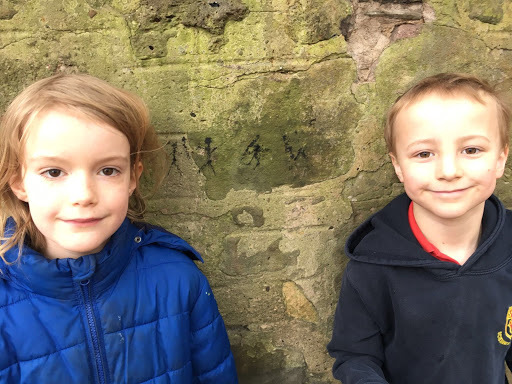 I’ve loved reading all their stories and just wished they had time to write even more. 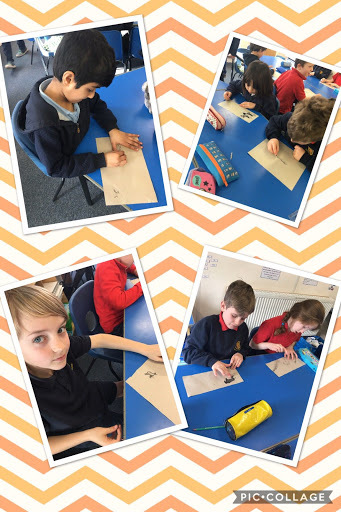 We have been looking at similes and effective descriptive language to help improve our writing. 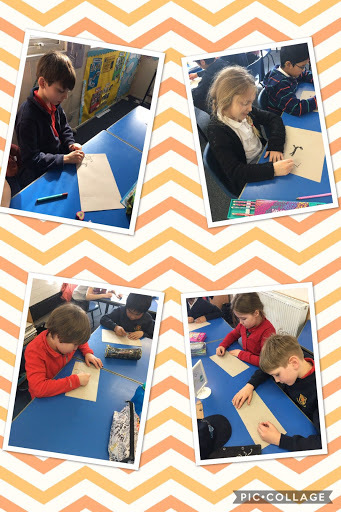 Here are some picture of the warm-up games we played to help with our writing. 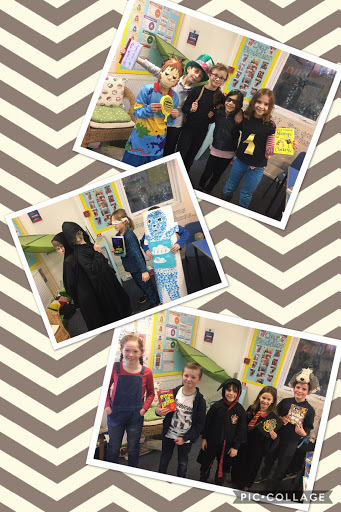 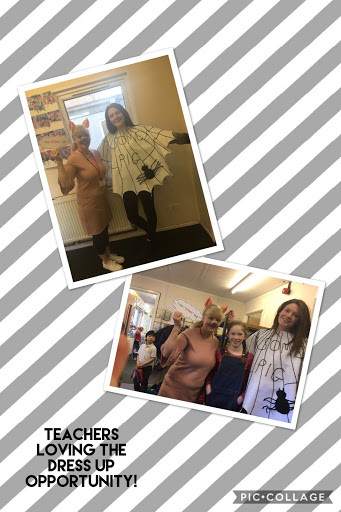 We loved seeing all the amazing costumes people wore today to celebrate all things books! 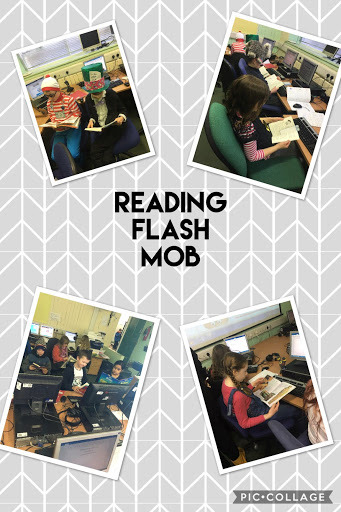 A reading flash mob was organised today. 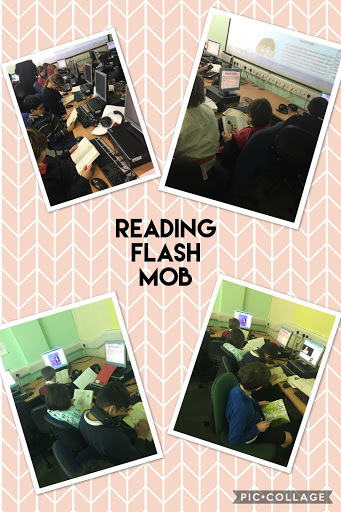 Whenever 5 bells rang everyone had to stop what they were doing and read. 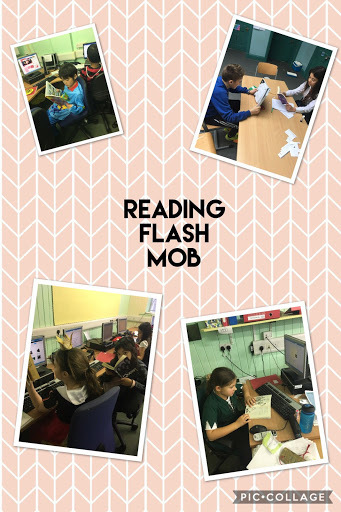 Here are P4b reading in the ICT suite.